It’s a really awesome quote that’s been around for a really long time from the wonderful Douglas Adams, but it’s really funny when Cisco rattles it off in the final (sad face) episode of this season’s The Flash. 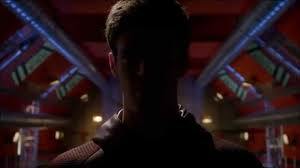 When we last left our Flash gang, Barry had finally caught our secret bad guy, the Reverse Flash. The whole episode is about choices. 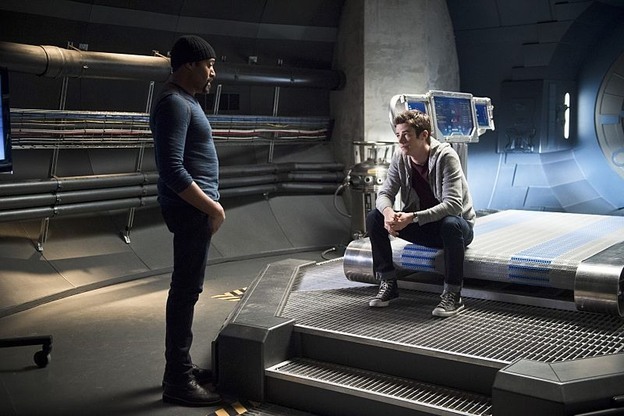 Barry has to make a decision to get back in time to rescue his mother or save/keep the future he is currently living in. Time travel is tricky. If you go to the past and change something you create a new timeline that you have to return. It’s a very Back to the Future sort of thing. Saving his mother means he may have never met his friends and he would never have been taken in by Joe and Iris, his new family. As I watch the show there are touching moments that bring the characters together. Barry has accepted his current path. The writers have created one of the most gripping and powerful episodes of the series. 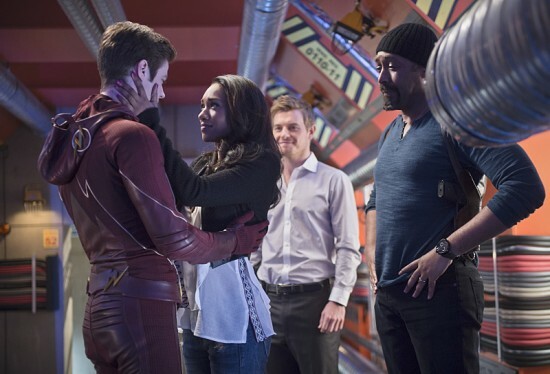 We see the characters in their most emotionally powerful interactions of the entire season between Barry/Joe, Caitlin/Ronnie, Iris/Eddie, and Barry/someone you wouldn’t expect; it was hard to watch without tearing up several times. The reason we love the Flash series is because all the characters have the opportunity to be a hero. Now I said the story is about choices. One of the characters makes a choice during the season’s final battles that end our story, but begins another at the same time. Plus, there are some serious spoilers throw in to the show that peaks our interest for what is about to come. Fans of easter eggs will love this episode. The finale was easily one of the show’s strongest episodes yet, making the wait for the next season so much harder. Of course a cliffhanger had to occur to keep us wanting even more. So until the fall, all we can do is sit back as the CW will be airing the show again during the summer; or just binge watch it on Hulu. Thanks for the solid season and see you in October.